Collected here are three different tales where one thing happens differently than it did in the original trilogy of Star Wars films. 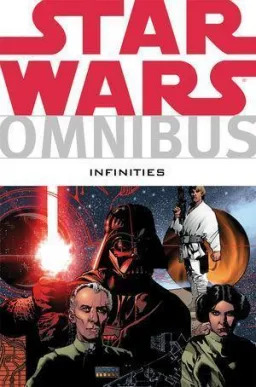 The familiar players—Luke Skywalker, Princess Leia, Han Solo, and Darth Vader—are launched onto new trajectories that send them toward dire consequences and unexpected futures! Collects Star Wars: Infinities—A New Hope; The Empire Strikes Back; and Return of the Jedi.